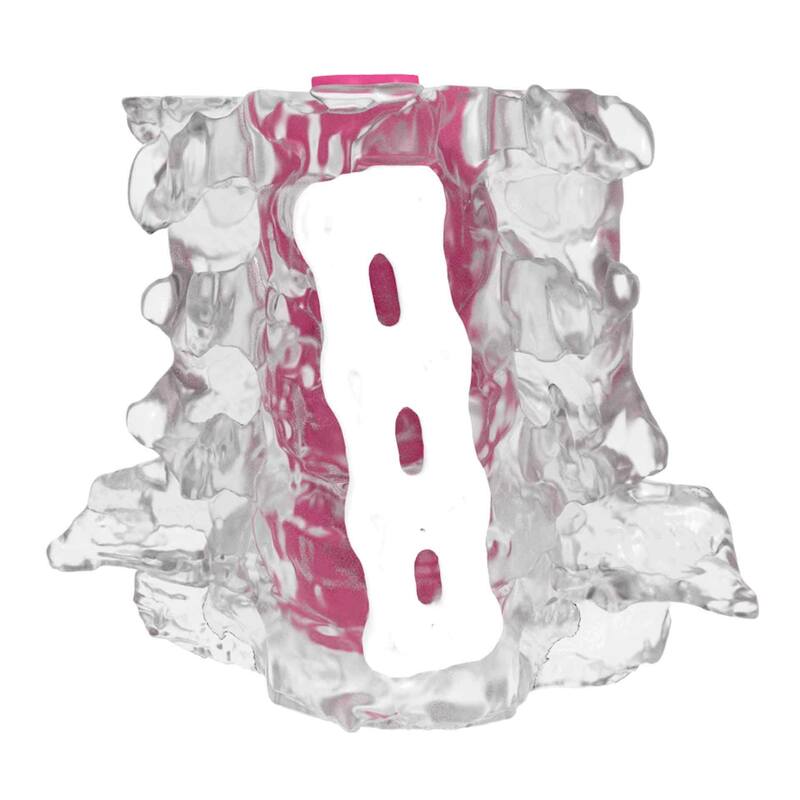 3D models represent 2D patient-specific CT scan data in physical form with the ability to contrast clinically relevant radiological data using different materials. Anatomical models are useful for reference in surgical planning. 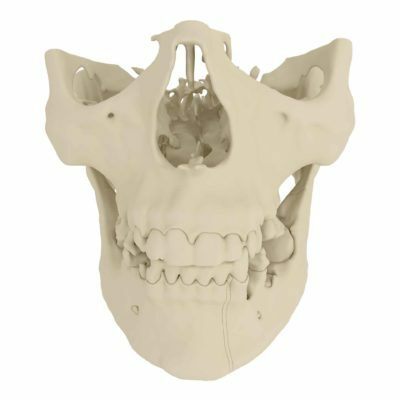 MedCAD clinical designers replicate patient data by making high definition models with precision 3D printing technology. 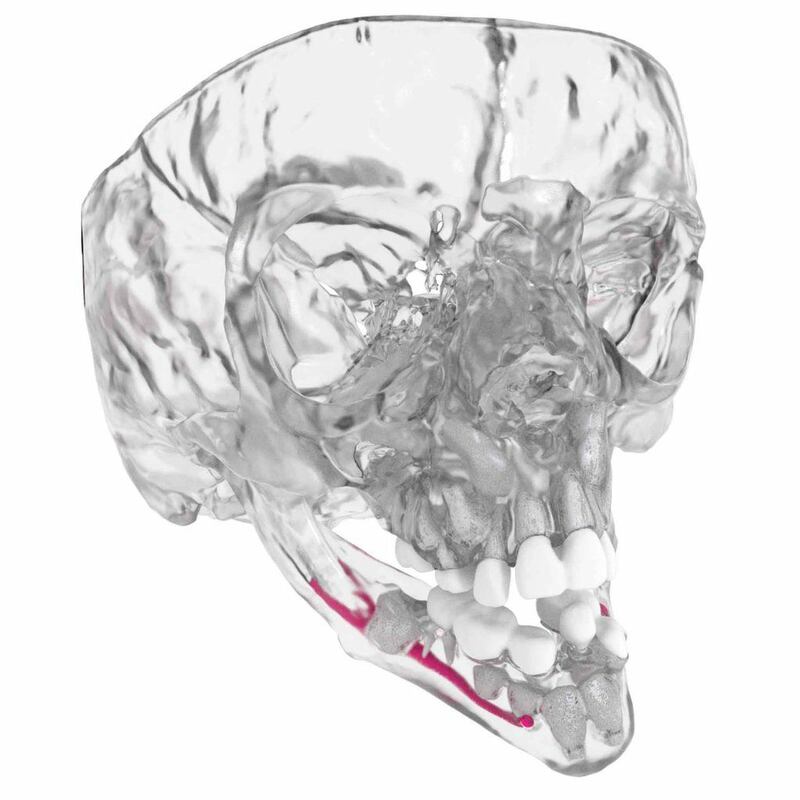 High definition 3D models portray visual and tactile patient anatomy. 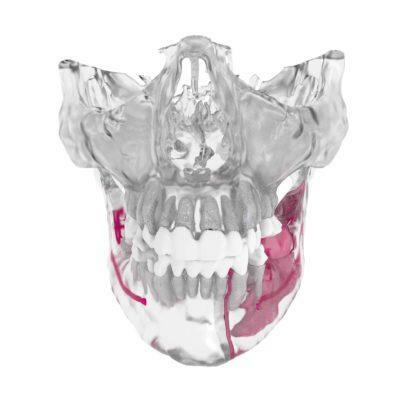 Multi-color materials allow for 80+ color variations highlighting patient-specific anatomical regions of interest. 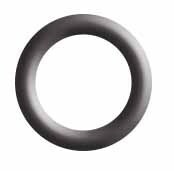 The models are fully UV cured, maintaining high definition shape and consistent color over time. 3D visualization of an individual’s anatomy prior to surgery can contribute to increased patient education and confidence. Review a model for advanced surgery preparation. ACCUMODEL® Patient-Specific Anatomical Models provide vivid, tactile 3D representations of patient anatomy, highlighting multiple internal and external structures differentiated by a variety of colored materials. 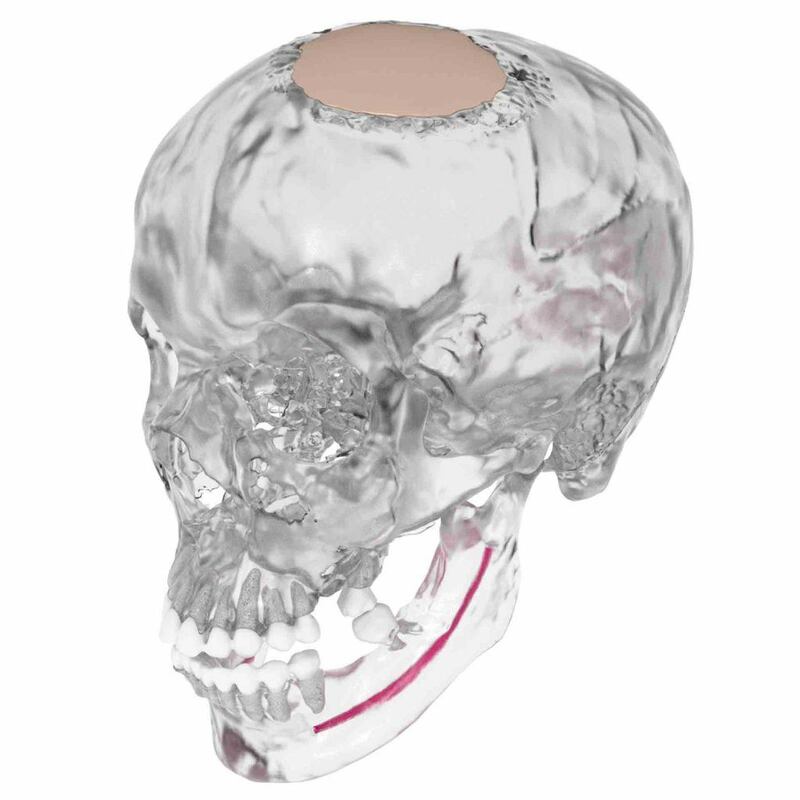 Physical 3D models easily represent patient anatomy compared to the flatness of radiological data on two-dimensional screens. Study an AccuModel days before the surgery and consider your surgical plan. 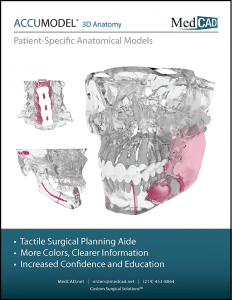 Quickly bring a team up to speed about a case using 3D models or educate a patient about their upcoming procedure with better tactile understanding. Figure AV.3 - AccuModel representing conjoined twins slides together to show both current and planned anatomy. The livers were designed to detach in order to better see the anatomy behind them. 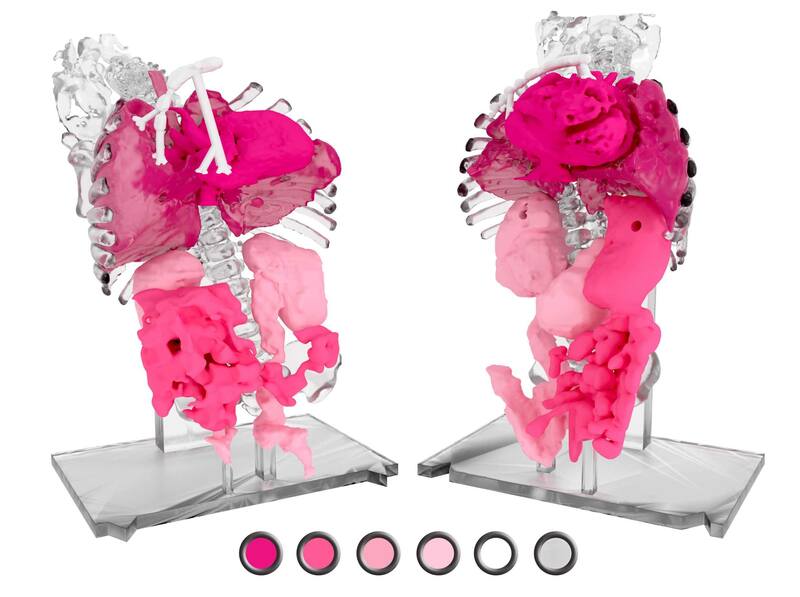 Models utilize the spectrum of available materials to vividly show patient-specific anatomy with a clear view of internal and external features. Models are made with off-white opaque and clear 3D printed material at 28 micron layers to replicate patient anatomy in high detail. 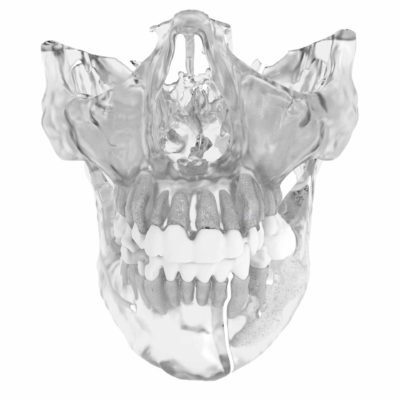 Opaque models are made with an off-white 3D printed material ideal for tactile visualization of superficial patient anatomy. We understand that time is important. Start a Service Request and Upload a CT for quick processing.